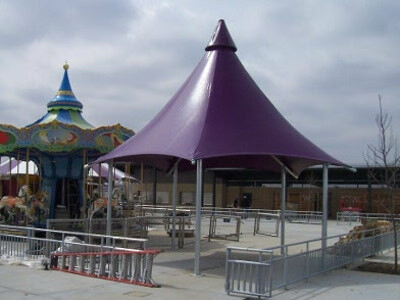 SHADE COVER AT WERNER PARK PLAYGROUND AREA PROVIDED BY SEVERAL SHADE STRUCTURES. 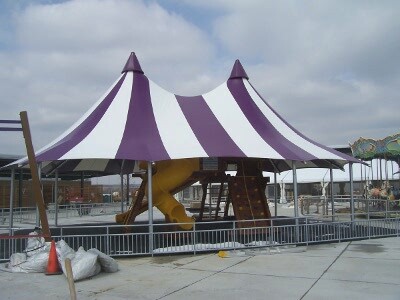 These bright festive shade structures help create a feeling of fun and excitement at Werner Park. the perimeter cable. This allows for easy set up and removal of the fabric.